Fay Spurgin was born in London England. Obsessed by books from an early age, and began writing in her later years. Enjoys travel, has even cruised around the world. Now devotes hours to crafting children time travel adventure stories and impressive romance stories. 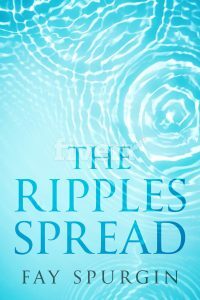 The Ripples Spread…Broken Dreams. She lives in Adelaide, South Australia. 5.0 out of 5 stars What a great and dramatic story this was! Great for grade schoolers! I enjoyed the story line and the adventures Matthew went through, too! I found it was quite a page turner. So, I wish to rate this as a five star eBook and wish to recommend it for those who enjoy time travel adventure stories with some fantasy in it. A clean read book. I received this for free and in return here is my honest review. Super work Fay! By Sunny.